DALLAS – Feb. 16, 2016 – The Energy Professionals Association (TEPA), announced today that 12 new companies joined the non-profit organization since its annual conference in late 2015, a nearly 13 percent increase in membership since October. The new members include energy brokers, retail energy providers, and other affiliated energy companies across the country. Established in April 2005, TEPA is composed of aggregators, brokers, and consultants (A/B/Cs), retail energy providers (REPs, suppliers) and related energy service members which operate in competitive energy markets across the U.S, Canada, and Europe. The organization is focused on improving benefits to consumers through adherence to a professional code of conduct, and in providing market knowledge and advocacy for its membership to help them provide services to consumers while sustaining the integrity of competitive retail energy market across the country. 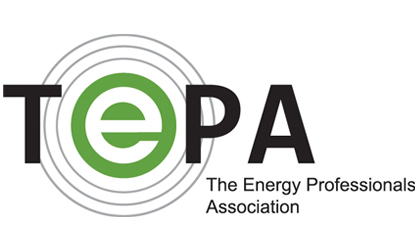 The Energy Professionals Association (TEPA) is a 501(c)(6) organization that establishes a standard code of conduct, serves as an educational resource and advocates legislative initiatives for the deregulated energy markets across the country. TEPA members include aggregators, brokers and consultants (ABCs), retail electricity providers (REPs) and affiliate members. TEPA members exhibit expertise, ethical practices and a high level of professionalism to help consumers buy electricity in the restructured national marketplace. For more information contact Aaron Cook at ACook@TPRM.com, www.TPRM.com, or call (214) 520-3430, ext.302. Follow TEPA on Twitter, Facebook, and Linkedin.